Clare Mulley talks to HWA Honorary Patron, Michael Morpurgo, about the extraordinary family history that inspired his latest book. 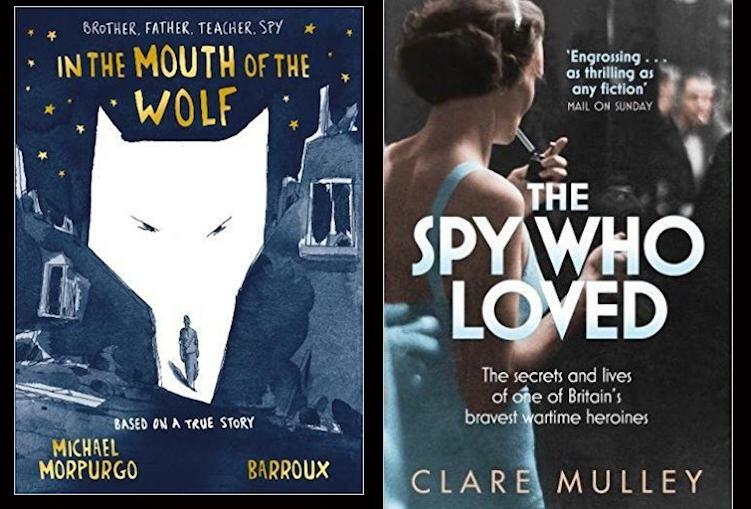 A few years ago, not long after my biography of Christine, The Spy Who Loved, had been published, I met Michael Morpurgo at the Harrogate History Festival where he was talking in his capacity as the Honorary Patron of the Historical Writers Association. I asked him whether he might ever write the story of Francis and Christine, their love affair, resistance work, and Christine’s dramatic rescue of the men. Michael told me that he had published almost 800 stories, but this one was too close to him. Last month I went to the launch of In the Mouth of the Wolf, Michael’s latest book, which finally tells the story of Francis, his brother Pieter, and Christine. We met again, a few days ago at Ognisko Polskie, London’s Polish Hearth Club, to talk about why Michael finally chose to share this tale. ‘This story has been at the back of my mind all my life,’ Michael told me, at least ‘since I was six years old.’ Michael was about seven when he first met Francis. Knowing only that his uncle was a great war-hero, and finding him ‘immensely tall’, Michael found him very daunting. ‘Francis was a one-off, very strange. He did not behave like other uncles. He commanded a room whenever he came in. Very handsome. Very impressive. Difficult to talk to’. Despite this, Michael was deeply inspired by both of his uncles; Francis and his younger brother Pieter, who had joined the RAF and was killed in action early on in the war. When he left school Michael even joined the army, ‘because the story of these brothers was so strong in my head. I was not a very deep-thinking eighteen year old’, he laughs, and he left again pretty swiftly, ‘never having had to go to war, thank god.’ His change of mind about his vocation came during winter training exercises in 1962. Michael tells even this like a story waiting to be written. ‘It was freezing’, he begins, ‘there was snow on the ground and in the trenches, and the enemy’ – in fact some Argyll Highlanders – ‘would cheerfully have killed and eaten us Sandhurst cadets. They shouted at us all night, and in the morning I had an epiphany… I suddenly realised that what I wanted to do was talk to people, not shoot at them. So I left the army.’ Nonetheless, his time as a cadet gave him an understanding of the military that he would later find very useful in his writing. Like Francis before him, Michael then became a teacher, and the two men found each other again, discussing education. Over time Francis spoke more about his own life. It was his knowledge of the courage of the French people who hid and supported members of the resistance during the war that enabled Michael to write his book about the French occupation, Waiting for Anya, with real integrity. Francis now also spoke about working with Christine. 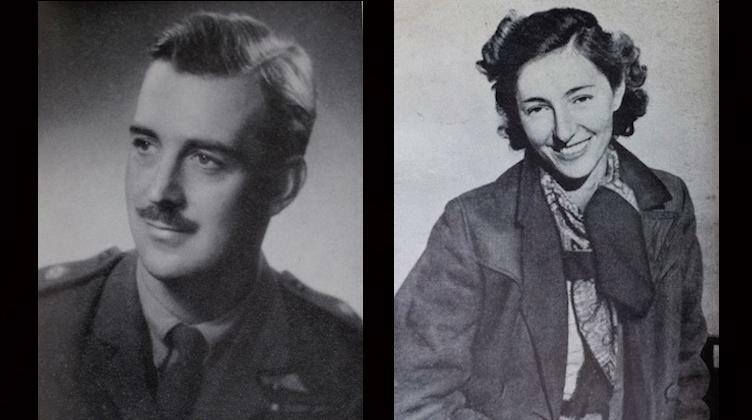 She had been parachuted in to serve as the courier with his resistance circuit in the south east of France in the summer of 1944. The previous courier, Cecily Lefort, had been arrested some weeks before, and would eventually be killed in the gas chambers. Christine was the first woman to serve Britain as a special agent in the war, and had already operated behind enemy lines in two different theatres of the conflict; in Eastern Europe; and Egypt and the Middle East. She had a reputation both for courage and for getting results. Francis immediately knew that he could trust her, and simply told Michael that it was Christine ‘who made it work.’ What he did not talk about was their love affair. ‘They fell in love extraordinarily quickly’, Michael told me. But Francis was married, and all he would later say was that ‘it is possible to love two women at the same time’. Michael says he feels indebted to his uncles for many things, not least for having given him the debate of his life, ‘do you or don’t you do what they did, serve and fight?’ Michael believes he would have made the same choices at Pieter, the uncle he never knew. Francis started the war as a conscientious objector, and it was these differences that gave Michael his way into the story. He only dared to write the book after Francis had died, involving his family all the way, sending them drafts. Luckily, he says, ‘they are broadminded’. Michael and I had chosen to meet in the Polish Hearth Club in London, because last year the club commissioned a bronze bust of Christine, which now lives there on public display. 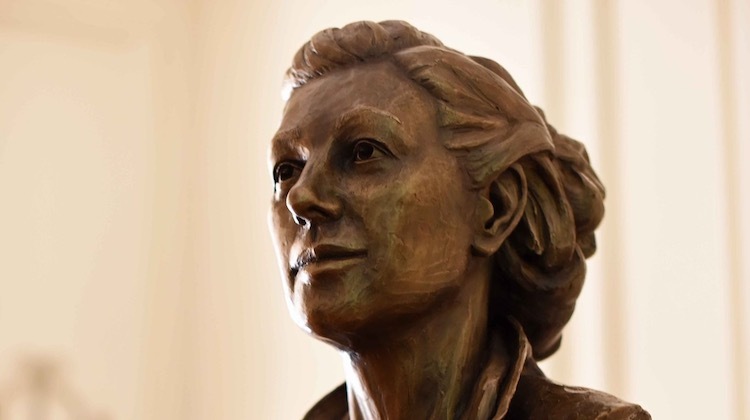 The portrait was sculpted by my husband, Ian Wolter, an award-winning artist, using every photograph of her that I could find, including crime scene pictures released to me under the Freedom of Information Act. At the foundry, we added a handful of Polish and British earth to the bronze, so Christine is literally cast with the soil of her native and adoptive countries. What was it like to finally come face-to-face with Christine, I asked Michael. ‘Very strange,’ he hesitated, ‘to see the face that meant so much to Francis, but who none of us were ever able to meet’. 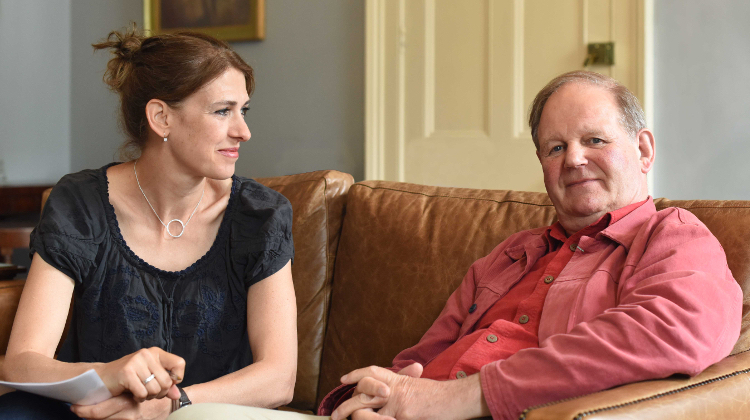 Clare Mulley with Michael Morpurgo at Ognisko Polskie, The Polish Hearth Club in London, 2018. Photo © Ania Mochlinska, Ognisko Polskie. Ian Wolter’s sculpture of Christine at Ognisko Polskie. © Ania Mochlinska, Ognisko Polskie.